Continuing on with its stream of exclusive content, Apple Music is today premiering the video for Keith Richards' latest single, "Trouble." The video is exclusively available through Apple Music Connect on Keith Richards' page on the artist-focused social networking site. Because the video is shared on Apple Music Connect, it does not require an Apple Music subscription to watch. Designed to let fans connect with artists, Apple Music Connect's content is all available for free and will continue to be free after people's three-month free trials expire. 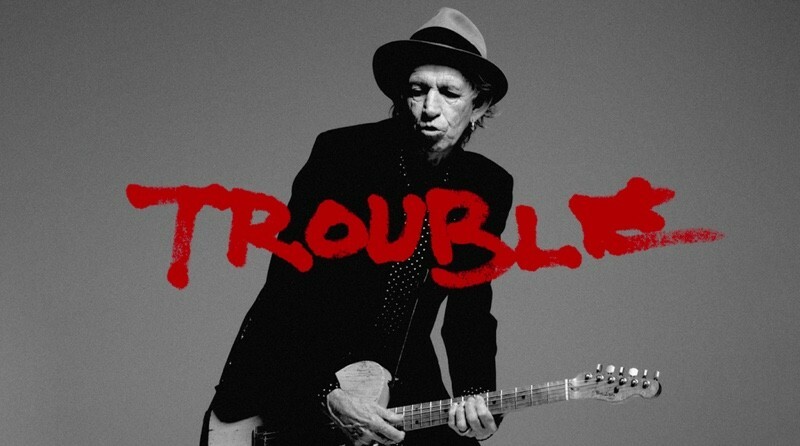 "Trouble" is the newest single from Rolling Stones member Keith Richards, originally released in mid-July. The single is part of his upcoming album, Crosseyed Heart, which is his first solo album in over 20 years. The full album is set to be released on September 18. Alongside the debut of the "Trouble" music video on Apple Music Connect, Keith Richards also did an interview with Zane Lowe on Beats 1 radio. It will replay tonight at 10:00 p.m. Pacific Time. Apple uses exclusive content and interviews as a way to lure customers and distinguish itself from the myriad other music services available, and has premiered videos like Pharrell's "Freedom" and Eminem's "Phenomenal." A recent rumor has suggested some of the exclusive videos Apple has offered, including Drake's "Energy," have been developed in-house with Apple working alongside artists to produce content for Apple Music. Is it me or is Apple only doing things for people 50+ in Music? I take it you haven't listened to Beats 1. Beats 1 is very diverse. Tons of genres. Have you listened to Rocket Hour by Elton John? Beats 1 is diverse in terms of different forms of hip-hop across the world mainly. Other than that it usually Top Pop tracks from around the world... which is all well and good, but they really fail to cater to jazz fans, folkies, blues, etc. ; the selection of blues and jazz artists are very limited in the non-beats sections of Apple Music. Tried to listen to Magic Sam's "West Side Soul" album the other day... only 3 of the tracks from the entire album are available... period. Go to Spotify however, a totally different story - full album and a great catalog of his work. While Apple Music does have exclusive artists like Taylor Swift, along with exclusive music only made for Apple Music, it's really not enough to tip the scales to pay 10 bucks a month for a service that screws up my Album Artwork, has a horrible selection of music to stream, and bloats my current install of iTunes on my Mac. Add in the fact they took away Genius Mixes in iOS 8.4, and that takes the cake for the reason I am annoyed with this current venture by the tech giant. Yeah, because hes still relevant... Is it me or is Apple only doing things for people 50+ in Music? Most the bends they make deals with or push promos for are bands that my parents listen to and they are in their 60's. About the only time I hear U2, Stones, an a few others they have done work with is when I'm in the dentist or my mothers CRV. Lately over all Apple has felt less interested in young culture and more into what the middle aged are doing. I actually wanted to convince my wife listening to Beats 1 occasionally. No chance, whenever we tried, every second or third track was hiphop...I mean, it seems popular in the U.S. and that's fine for me. But being a worldwide radio station Apple should be aware that hiphop is not of that relevance elsewhere. Like him or not, there's a lot to admire about Keef. At 71 years he still lives his way & doesn't care about convention. He still gets up in the morning, smokes a joint and then sees what kind of trouble he can get into. Hilarious! It's good they appeal to all age groups. So much in Apple Music for young people already. I had the privilege of seeing The Stones in concert this summer and it was phenomenal from the first note. I'm excited to hear Keith's new album (his solo material is really underrated IMO, it's better than Jagger's) but I still hope and wish the Stones record one more album together. Bigger Bang was actually quite good, especially if you didn't hold it to the same standard as the "Golden Era" albums (Let it bleed, Exile, anything with Mick Taylor basically). Nothing can live up to the standards of those old albums that have inspired so many fans and musicians alike over the past 40 years.